Everything You Need Is Right In This Kit! Beautify, protect and clean granite counters, stone vanities, ledges, shelves, walls AND even your stainless steel with this countertop maintenance kit. Everything you need is right in this kit! 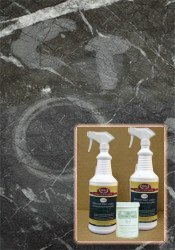 These products are safe for ALL Natural Stones. Use the sealer to reduce the possibility of staining. This product effectively inhibits liquids from being absorbed into your stone. Does not require frequent applications. The first application will protect your valuable stone for many years to come. Apply it every 10 Years. Coverage: Approx. 200 Sq Ft Per Quart. This is one of the most popular products! 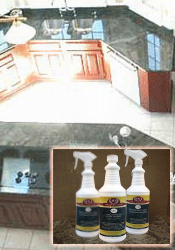 It will quickly, safely and easily clean granite counters, vanities, walls, fireplaces and more. 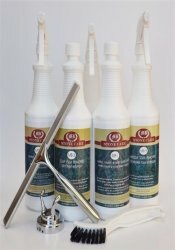 Safe to use on ALL Natural Stones and surfaces. This spray cleaner is a must for the daily cleaning care of stones that have been sealed with a penetrating (impregnator) sealer. Add shine and create a protective shield that repels water, reduces finger marks, and makes routine cleaning easier. 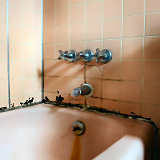 This one restores slightly worn down surfaces to like new condition! 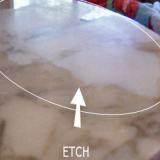 Don't worry about preparing food on your polished granite counters. It's SAFE! This granite counter top and maintenance kit is the very best product line available to the end user of Stone for the sealing, cleaning and care of granite counters, vanities, shower walls AND all other polished stone. Not for floors. I just wanted to say "Thank you" for my natural stone products. I have tried other products in the past and nothing compares to yours. I also appreciate how you continue to stay in contact with me about my order. The service is GREATLY appreciated!!! Just wanted to let you know that we really like your products as well as your customer service.